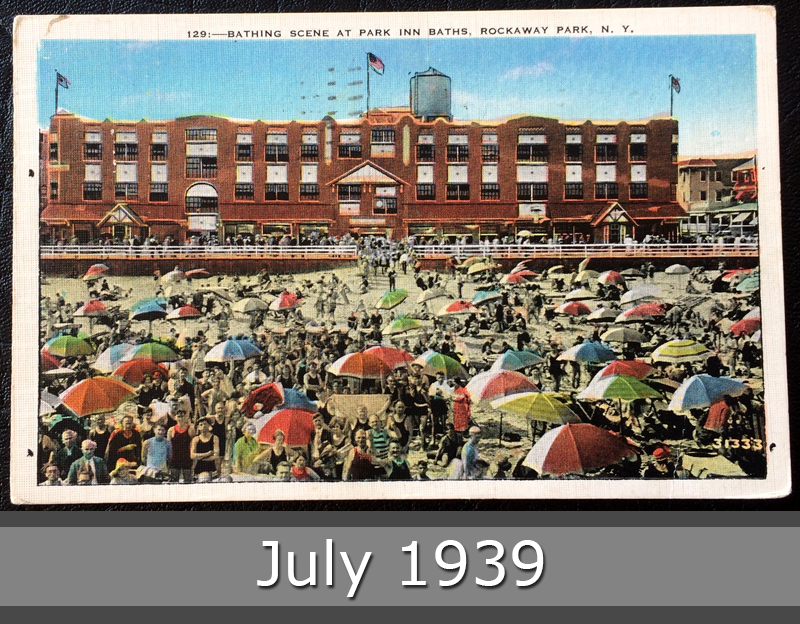 Rockaway Park is a neighborhood in the New York City borough of Queens. The area is on the Rockaway Peninsula, nestled between Jamaica Bay to the north and the Atlantic Ocean to the south. 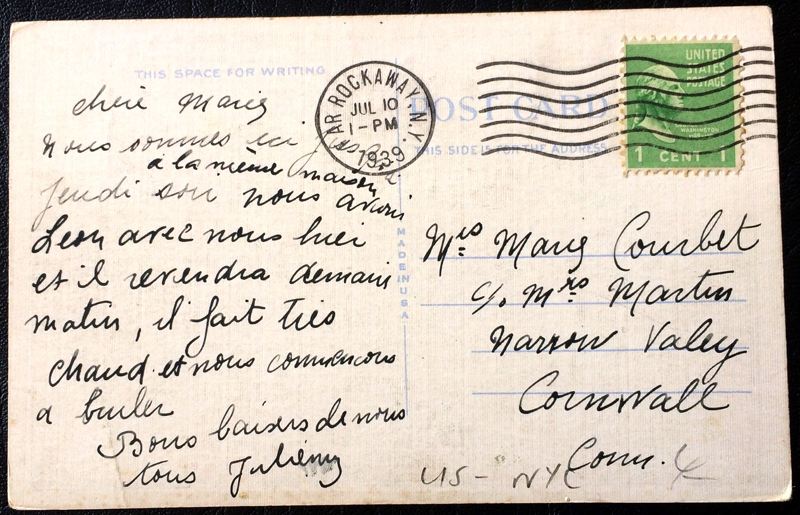 This postcard from year 1939 goes to Cornwall.